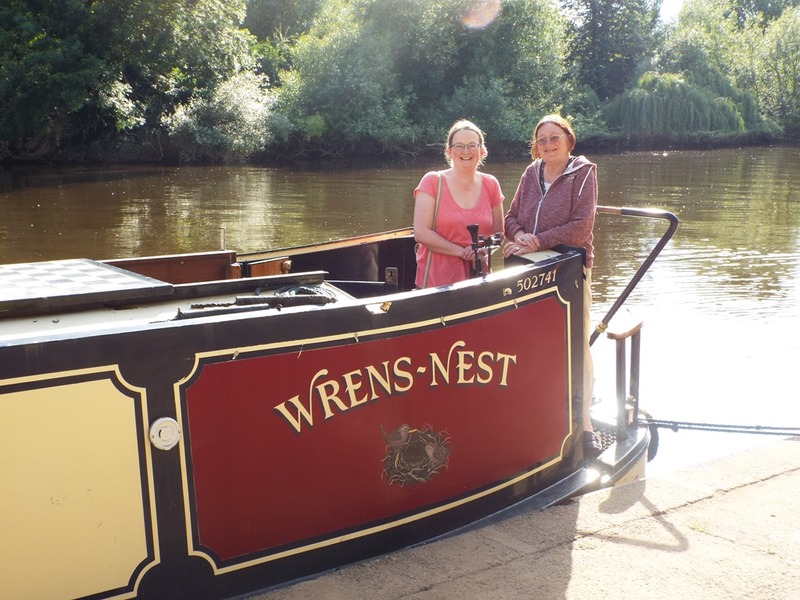 Just a 20 minute journey from our overnight mooring in the countryside and we were at York Street lock being met by two cheerful volunteer lock keepers who ‘saw us through’ to Stourport Upper Basin. As we entered the basin we spotted nb Avon which used to be moored at Lower Heyford and I believe was used in filming a 1981 episode of Worzel Gummage. We wound our way through to the Lower Basin and joined the queue to descend to the Severn. I guess we had to wait about an hour while two boats went down and one came up, but when it was our turn it took about 20 minutes to transit the two double staircases of locks with the help of our cheerful chappys. Once out on the Severn we were soon at our first Severn Lock, Lincomb Lock, they look HUGE after our little narrow canal locks. Holt Lock and Bevere Lock negotiated as well we arrived in Worcester to a welcoming party of Dragon Boats who were racing. 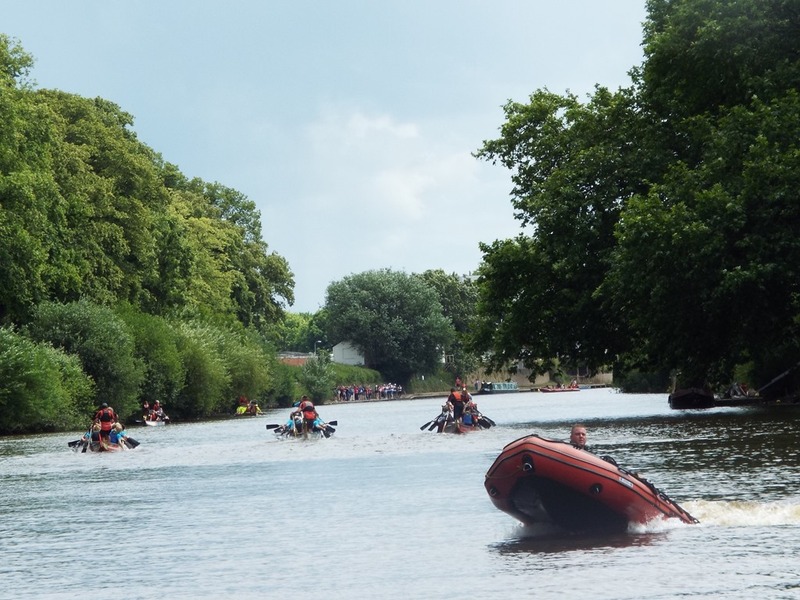 Their safety boat asked us to wait until they started to race then basically chase them down the course so we would be out of the way for the next race. Once past the rowing club we found a mooring under the railway bridge, which we had to pay for by buying a £4 ticket at the nearby car park. The first train over the bridge almost frightened the life out of us as it was so loud, fortunately they didn’t run through the night! After we had settled in we had a visitor who we hadn’t seen for about 25 years; Phillipa was a member of the Cornerstone youth group which we used to run when we were much younger and we have re-connected through Facebook. The weather forecast today bode well until late afternoon so we decided to try to make it to Gloucester non-stop. There was only Diglis and Upper Lode locks to go through and we made good time covering the 30 miles in 6 hours 40 minutes. We wasn’t speeding, honest, although we did almost reach 6 mph at one point the down stream speed limit is 8 mph. Finally we reached Gloucester Docks lock just before 3 pm and went up into the docks with nb May Pink, and whilst they successfully reversed onto a pontoon we were blown out of line by the wind and eventually conceded defeat and went in forwards. We are moored up right outside the Dr Foster’s pub and thought that it might be noisy, however as soon as we were settled it started to pelt with rain and as I write this there’s not a soul sitting at the outdoor tables. The Coach House Severn Stoke? We plan to spend a couple of nights here and then head down towards Slimbridge and no doubt meet up with lots of local friends. 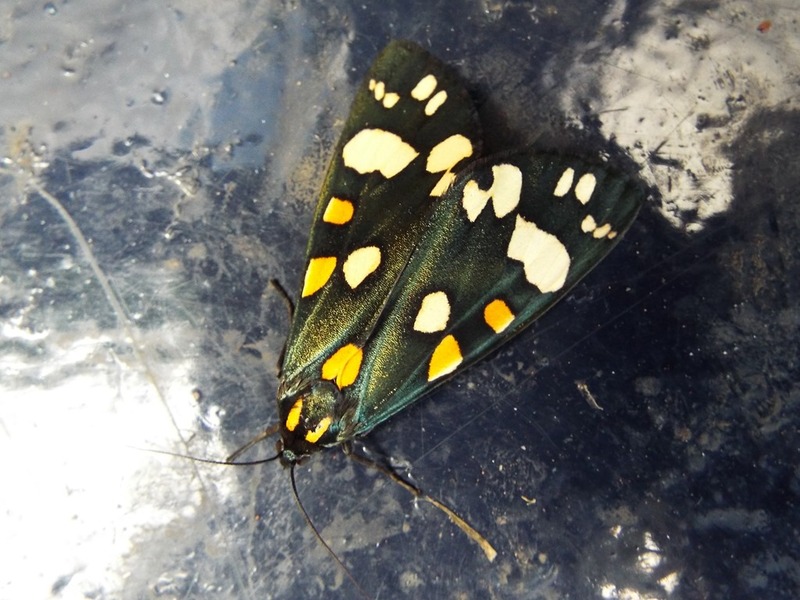 We left Kinver just before 9 this morning and found we had a stowaway, he was just sat on top of a locker and was in no hurry to leave. Just an hour into our journey we were hailed from nb October “Are you Jeremy’s parents?” we replied that we were and were assured that he was a Nice Guy. The four locks were accomplished quite easily, Debdale Lock has an interesting cave beside it and apart from meeting some poorly supervised child canoeists right on a bend shortly afterwards had an uneventful trip into Kidderminster. 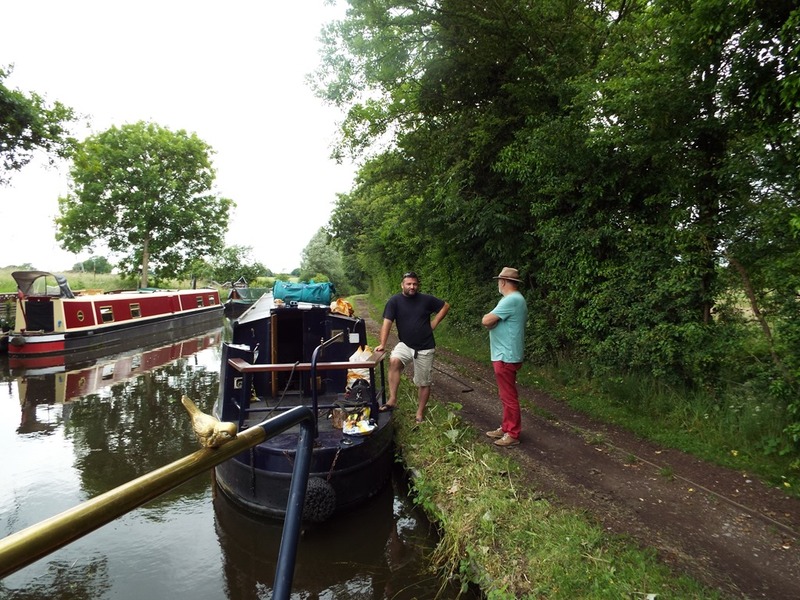 We moored up right next to the retail park had some lunch and soon we had a phone call to say we had visitors. Our friends Hazel & Edward were travelling back to Gloucestershire and had arranged to meet us. We enjoyed catching up with their news and after they had left did a shop at Sainsbury’s. It had started raining so we decided to cook ourselves some tea and maybe stay overnight. About quarter to eight it cleared up and against Joy’s better judgement I persuaded her to move on, away for the town and about nine I could see the evening sun lighting up the trees on the hills and later a magnificent rainbow appeared. 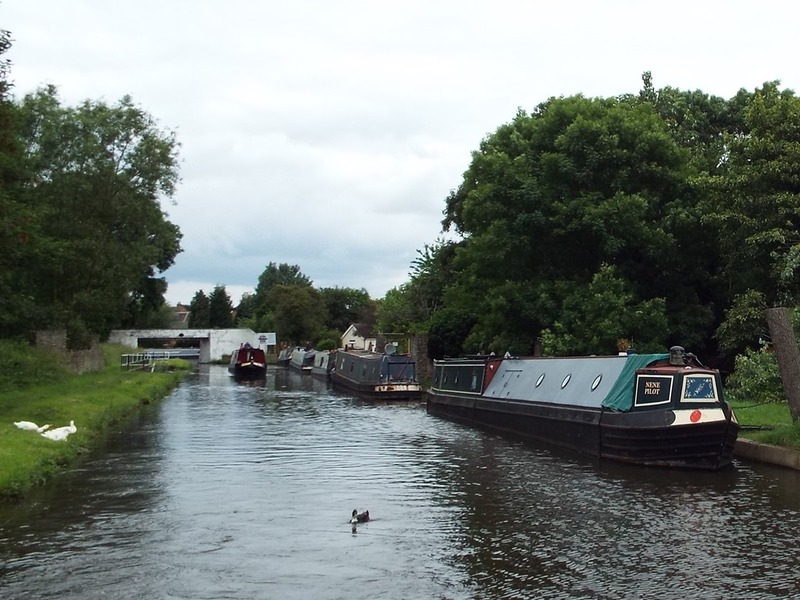 At 20 minutes to ten, just before Stourport, at Upper Mitton we moored up for the night behind nb Recalcitrant which we last saw at Hillmorton on our way up to Atherstone. The latest boating we have done for a long time! This morning passing joggers and dog walkers had us awake at 5:30am, and despite our best efforts, further sleep evaded us and we were ready to leave before eight. 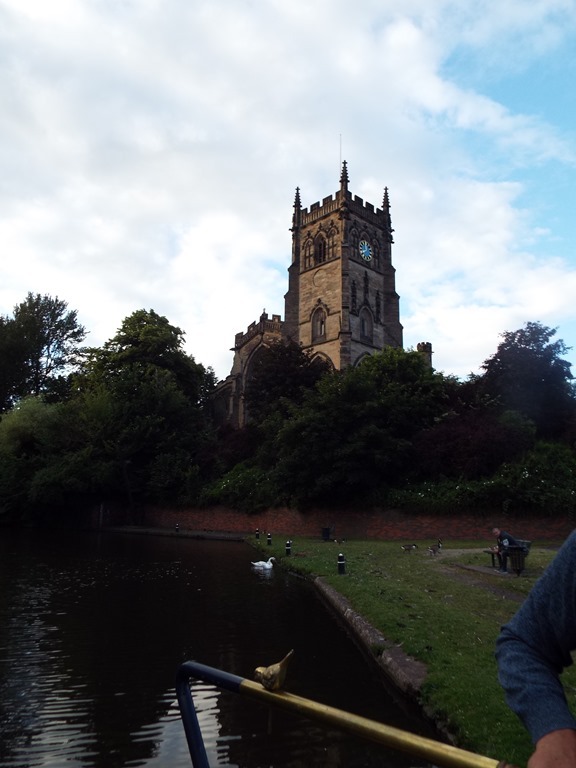 We thought we might miss the rush, which we did, but nearly every lock was against us! Just look at the height of those gates! Before we left we bottled some elderflower cordial which Joy made yesterday. 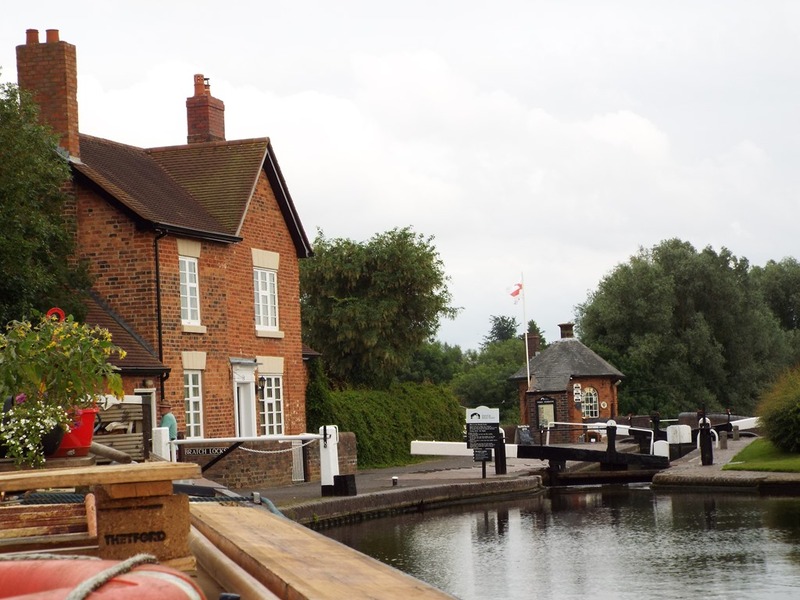 It was a pleasant morning though, our first lock was the quaintly named Bumblehole Lock and the second was Botterham Staircase, where one lock leads straight into the next, dropping us down over 20 feet. 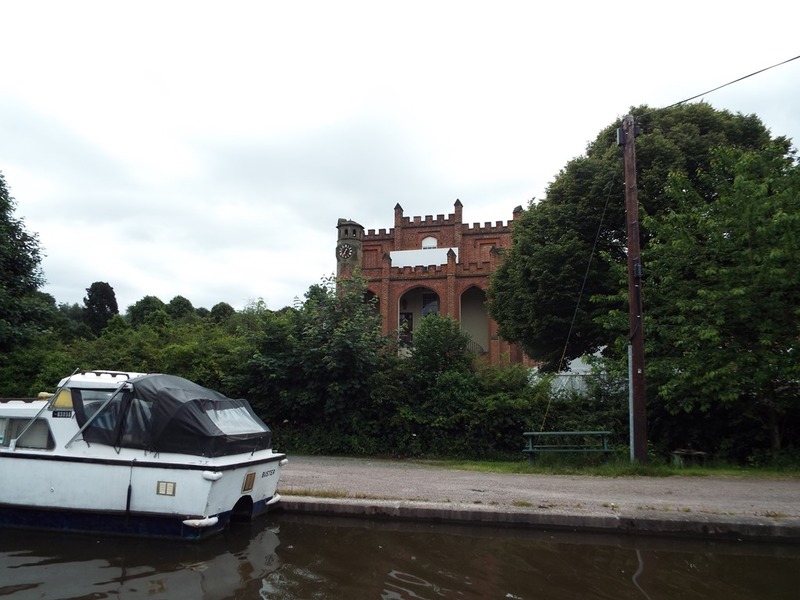 From there it was a steady progression of ten more locks to Kinver, our destination for today. At Bridge 36 is a beautiful private garden belonging to the owner of the adjacent Ashwood Nurseries, however a party of ladies was being shown around. Near Rocky Lock we kept an eye out for Devil’s Den, but as it’s rather overgrown at the moment this 2002 photo shows it in a less overgrown state. 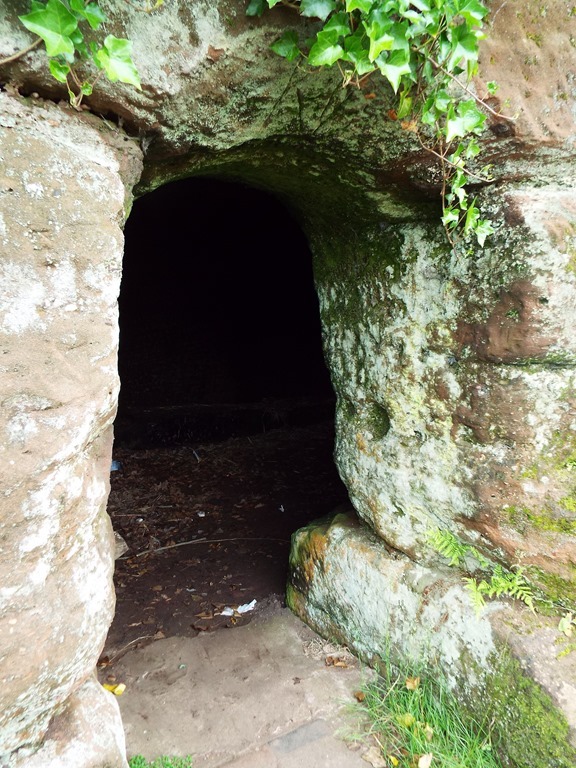 No one seems to really know why it’s there, carved out of the soft sandstone, although our Pearson’s Guide suggests it may have been once used as a boathouse. On arrival at Kinver we were fortunate to find a mooring and promptly decamped to The Vine and enjoyed a light lunch of battered mushrooms & brie wedges along with a shandy for Joy while I was tempted to a pint of Orchard Pig cider, a heady 6% brew with an equally heady £4.20 price tag! Our generator arrived back safely by TNT courier, it arrived strapped to a pallet and while I went to get a knife to remove it, the driver had carried it to the boat pallet & all! This signalled our departure form the Fox & Anchor, and off we went towards Autherley Junction where last year we turned off and explored the Shropshire Union, but this year it was straight on towards Stourport after a stop for lunch. 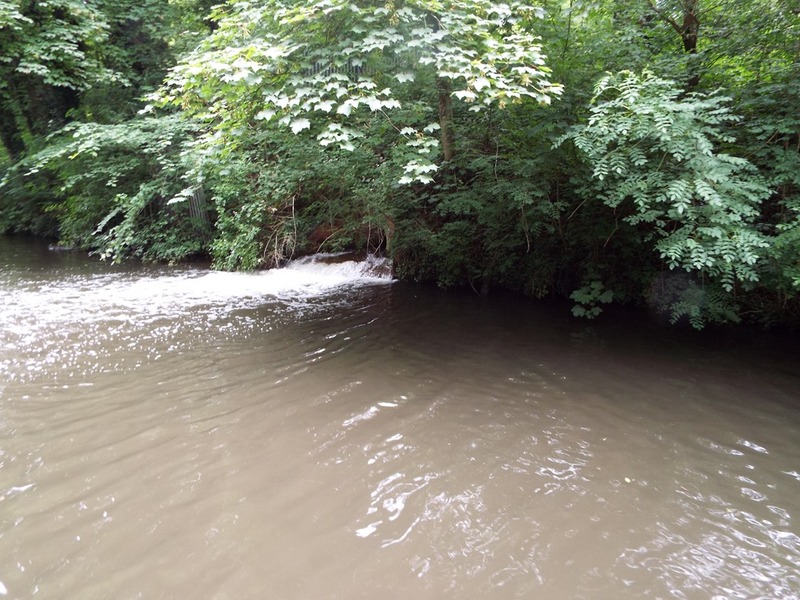 I noticed the clearness of the water hereabouts and just a bit further I noticed a strong flow of clear water from a culvert, I later discovered this was Autherley Sewage Works Outfall … Oh well! Just half a mile away is Aldersley Junction, what an opportunity to get confused! 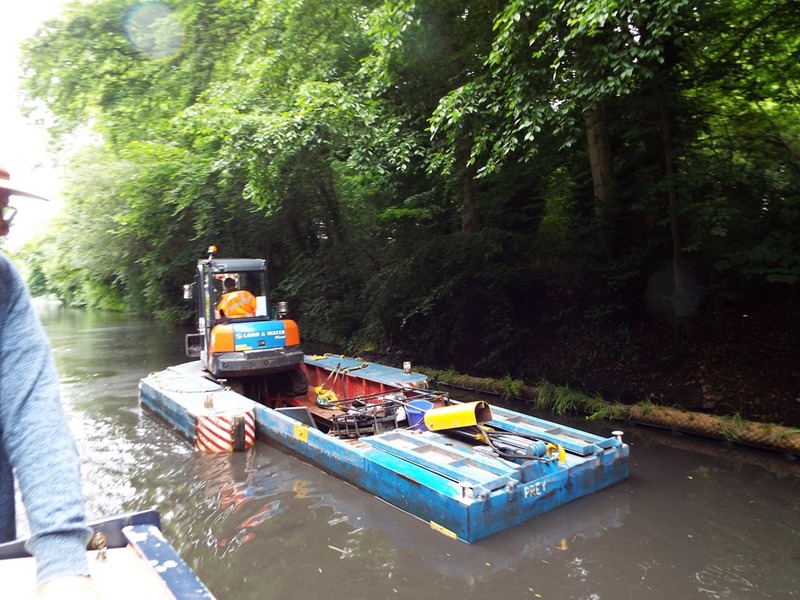 Some serious dredging work was going on along this stretch and we had to pass the dredger carefully. There are some interesting features at Awbridge Lock but there seems to be some conflict between ‘Elf & Safety and the listed status of the lock resulting in an awful looking temporary/permanent handrail made of scaffolding being put in place, next to the attractive cast iron walkway. We intended to stop before Bratch Locks but on arrival the Lock Keeper was still in attendance and saw us down the flight and we moored at the bottom. I know, it will be a shock to you, but somehow we find ourselves moored outside a pub! Just before we set off on our cruise our 15 month old Hyundai Generator failed, to cut a long story short, it had to go back to Genpower, because the dealer from whom we bought it, so we would have a local service agent, told us they didn’t really know much about them and it would be about 3 weeks before they could look at it. Anyway I had an email yesterday afternoon to say it was ready and had to give them an address to deliver to, so The Fox & Anchor was ideal. Today we covered 8 miles & 7 Locks in 5h20m. 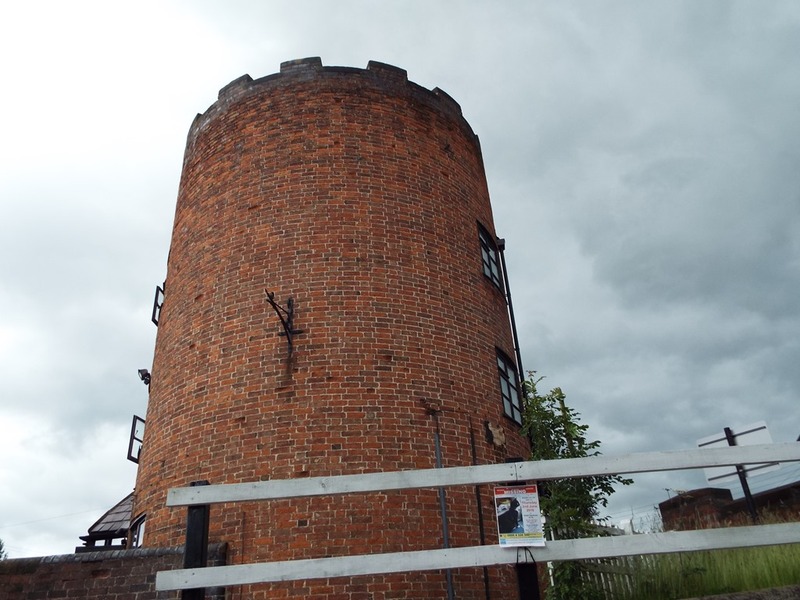 Our last lock was at Gailey where we celebrated with ice creams from the gift shop in the keeper’s watch tower. 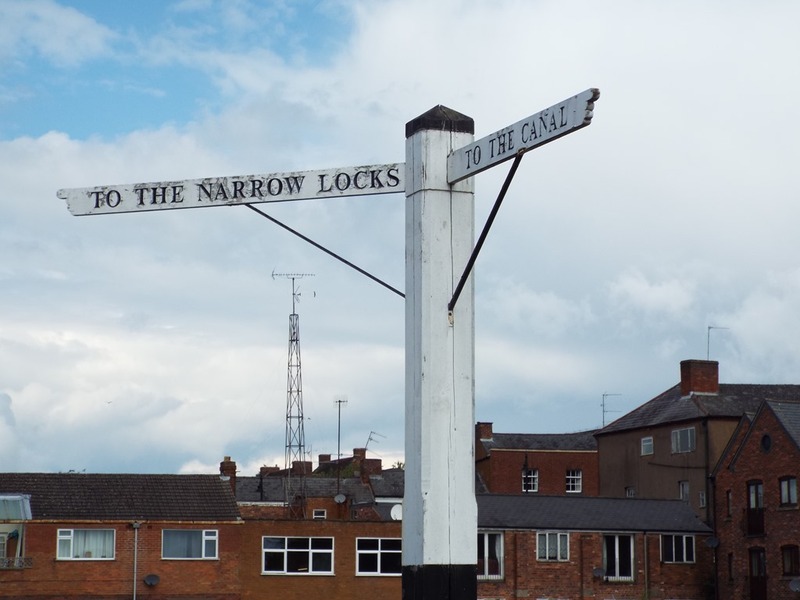 Apparently it was necessary because the view northwards along the canal was obscured from the lock-side by Gailey Bridge. At Calf Heath the canal passes through the SI Group, Inc. chemical works (parent company based in Schenectady, NY U.S.A. hence Schenectady Works Bridge) I digress however. 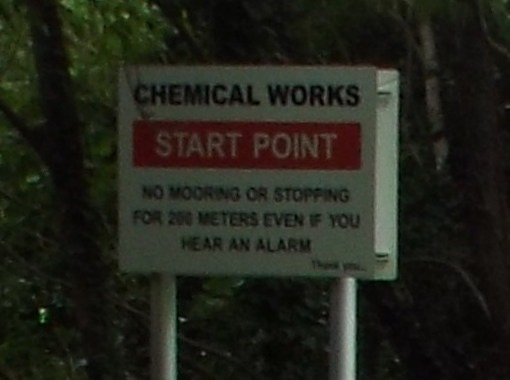 I’ve always been puzzled by their sign saying no mooring or stopping for 200 meters (sic) when the signs must be about 1000 metres apart. I know our American cousins don’t ‘do’ metres but that’s a big difference. 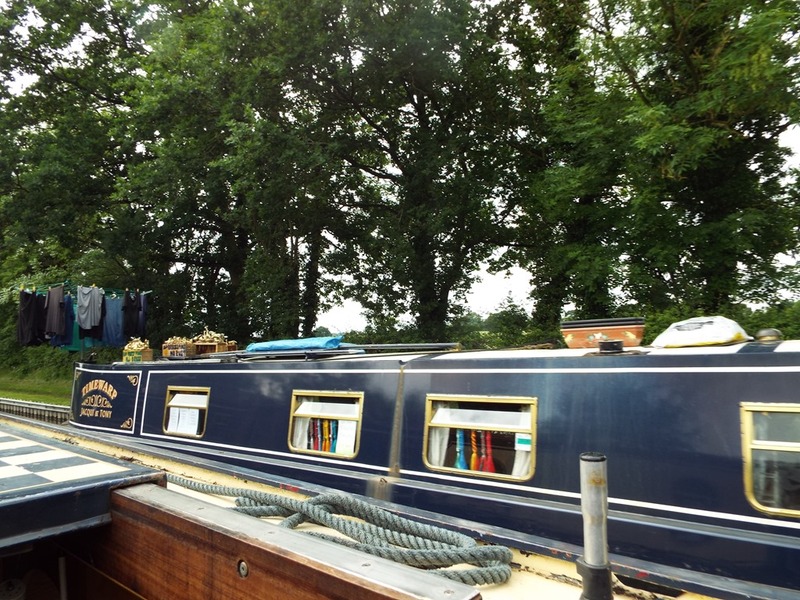 Just past Hatherton Junction we spotted a familiar boat moored, Nene Pilot which used to be owned by a boater from Banbury. We were almost at the pub when we spotted another familiar boat nb Timewarp, and stopped to chat with Tony & Jaquie who used to work at Oxfordshire Narrowboats with me and they now sell brass tiller pins from their boat. So here we are until we get our generator delivered, let’s hope it comes tomorrow. 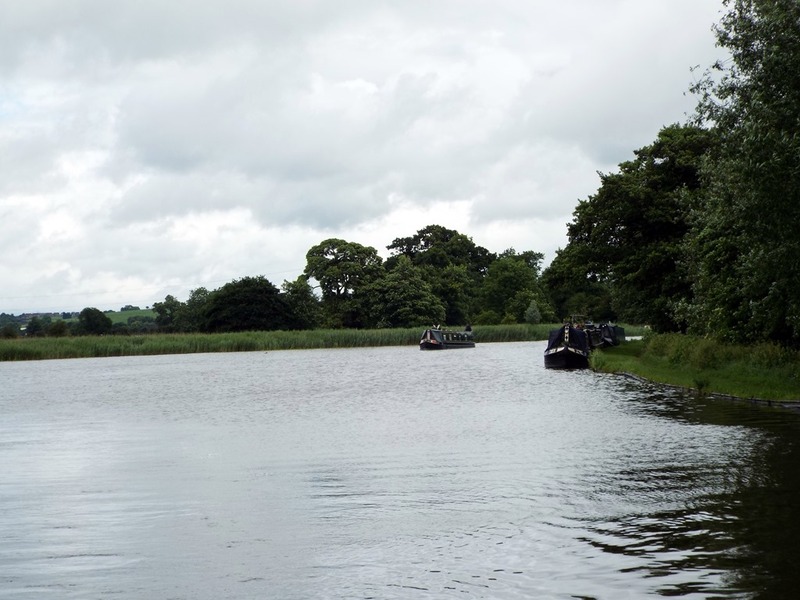 Jobs accomplished, we reversed to make the turn onto the Staffs & Worcs Canal, past the Anglo Welsh hire boat base and on through Tixall Wide, by this time the drizzle had stopped but it was by no means warm! We reached the old junction with the Stafford Branch, which it is hoped will be restored one day as The Stafford Riverway Link, and paused for a bit to escape more rain. It was then on through Acton Trussell and a couple more locks to pause at Midland Chandlers and purchase some more fenders as my brilliant idea to fit quick release clips caused the loss of one already, so it’s back to stainless steel shackles to attach them. 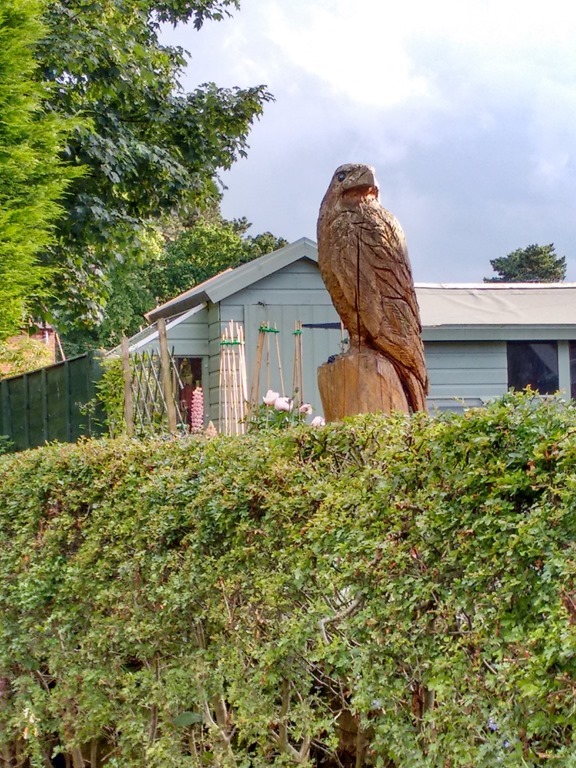 Another boater tipped us off that there were moorings available just before Penkridge Lock and by 6:15 pm we were moored in exactly the spot recommended, alongside this magnificent carving. We enjoyed our meal at The Swan last night, we had a burger apiece, simple well-cooked pub grub and more than either of us could eat! 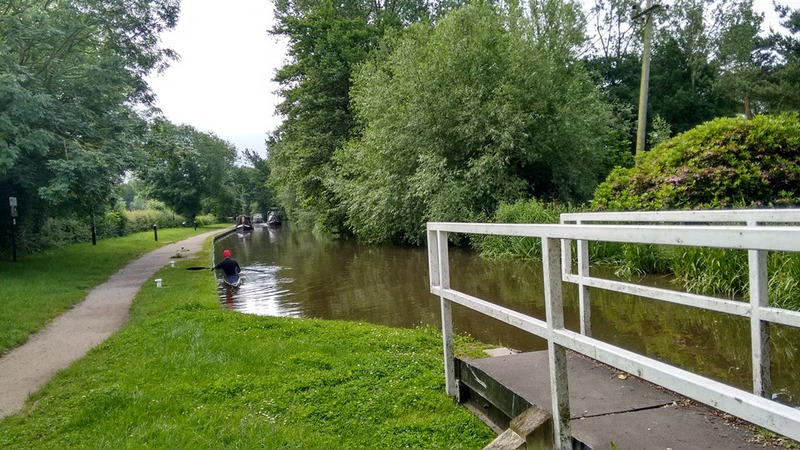 This morning we were up with the lark (well almost) Joy walked up and opened the swing bridge and we swung left onto the Trent & Mersey Canal and almost immediately were at the first lock, where we were helped through by a volunteer lock-keeper and likewise at the second lock. At Wood End lock another volunteer was recording usage and once through that was the end of the locks for the next ten miles. 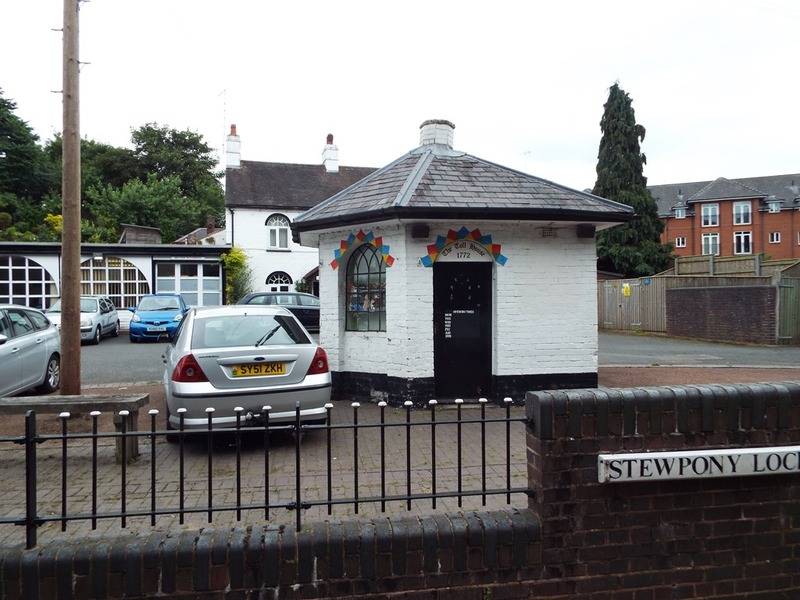 The next familiar landmark was the Armitage Shanks ‘sanitary ware’ factory and the following ‘tunnel’ which required Joy to walk ahead to ensure nobody was coming the other way. As it happened I think all the boats had passed us previously as there seemed to be a convoy coming the other way before we reached there. We passed Spode House moorings with the house partly hidden behind the trees, once owned by the Spode family of pottery fame. 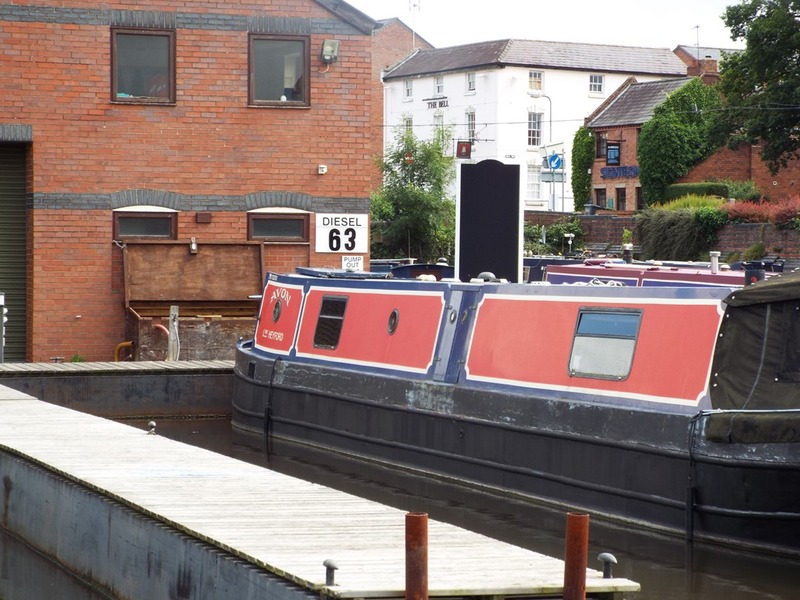 We breezed on through Rudgeley, then crossed the Brindley Bank Aqueduct over the Trent and on to our next objective the fuel boat Dexta at Taft Wharf where we replenished our diesel tank and wished we had waited to buy our gas there too as their prices are so good. At Wolseley Bridge we stopped for tea and cake and to let Jade out for a while, we decided not to stay overnight as the TV signal was poor so pressed onwards to Great Haywood despite the threat of rain. The forecast was right and we got a bit damp but managed to get the last free mooring just above Haywood Lock where we spent a peaceful night despite the rain and adjacent railway line.